Needle breakage during the administration of dental analgesia is an extremely rare event. A case of needle breakage during the administration of an inferior alveolar nerve block occurred in a child with KBG syndrome. During the injection, a sudden movement of the child caused the breakage of the needle. The next day, the retrieval of the needle was performed surgically under general analgesia. Three months after the surgery the healing was good. Two years later the child underwent a dental extraction with the aid of nitrous oxide/oxygen analgesia/anxiolysis. 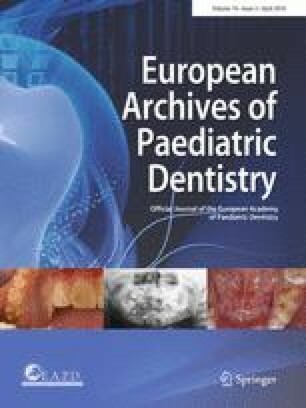 Needle fracture is a possible event during the administration of dental analgesia in children. The authors are grateful to the colleagues that have made the diagnosis of KBG syndrome. The informed consent was obtained from the parents of the child. Mitchell JA, Logan RA. Genetics home reference. 2005. https://ghr.nlm.nih.gov/condition/kbg-syndrome.